The most populated Muslim nation in the world is also home of some of the most courageous Christians! Join VOM workers as they travel though Indonesia and interview our brothers and sisters who have endured extreme persecution at the hands of radical Muslims. In this new video release from The Voice of the Martyrs, you will meet Christians like Adel and Methu who were separated for 18 months after Adel was kidnapped by Muslims from a neighboring island. You will also meet Johannes whose head was nearly severed and who now wants to be a missionary to his Islamic countrymen. And you will hear firsthand accounts of overcoming faith from one of today°s most persecuted nations. This video contains dramatic footage of what many of our brothers and sisters are currently facing in Indonesia. But beyond the persecution are incredible stories of their undying love for Jesus Christ. 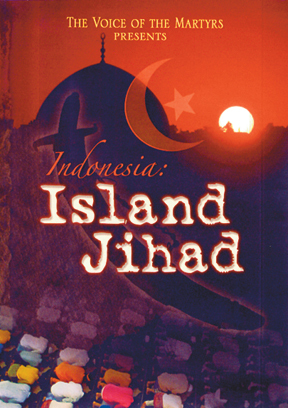 You will also view reports of what VOM is doing to help those facing an Island Jihad. Note: This video is NOT intended for children.